Map showing location of Mangatutu Hot Springs . Use the controls on the map to zoom in and out. A long, but pleasant drive into the bush clad hills. The road is very twisty and narrow but sealed for most of the way, the last 23k's are unsealed, starting off quite wide but narrowing as you get deeper into the bush. Once the road narrows, drive slowly and carefully, there are idiots who drive way too fast and head on crashes will occur, not recommended for large vehicles like motorhomes although there is plenty of room to park and turn around at the end. The walking track down is quite steep, but manageable except for those in wheelchairs. 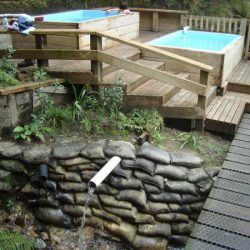 The views are awesome, pools clean and tidy, but there's nowhere to change clothes, so do this in the carpark or toilet (long-drop version). You can camp along the road a 100 meters, but no power etc. Just beautiful, I'm not sure what is wrong with children seeing naked bodies though, we all came that way? Surely hiding something only makes a child feel that there is something to be ashamed of? I am posting this review to get a nice new one up on the top of the list, the previous post is of people that cant appreciate the place for what it is. They would rather post negative reviews lime that have nothing better to do with there lives. So what! there were nudists there when you went. Big deal! If you can't handle a little naked real life don't go there! 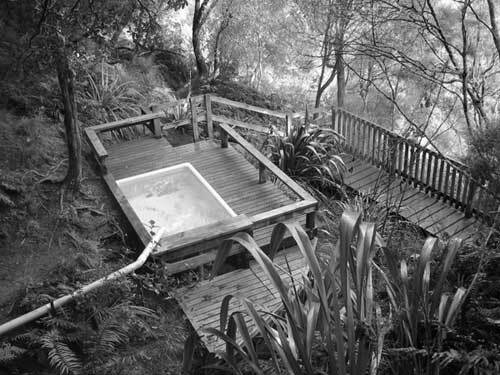 The place is the most amazing place I the country in my opinion and im Not a nudist and yes I have been I the spas naked.. I'm not afraid of the human body. 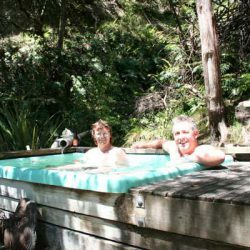 If this is a clothing optional area please make this very clear on the website as its gutting to get up there to find the place overrun with 30 nudists.And we had 3 little kids with us!! 19/5/13. Wife and I went to pools. people already there. Both had cars and it was raining. No problem crossing concrete ford in river. Has red post to tell you it is too high to cross, and the river level nowhere near it. 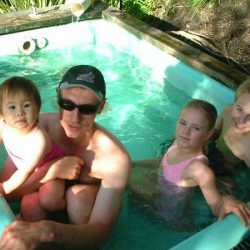 Nice clean pools, great temp, about 38.5 degrees. Would have stayed longer, but clothes getting too wet. very lovely and nice place for relaxing and chill out. I stayed overnite and this one of the best moment of my life. very lovely place! the car couldnt get up the road to the pool (should have got a 4x4 car) so we had to walk to the hot pool and lucky on the way this couple gave us a lift. 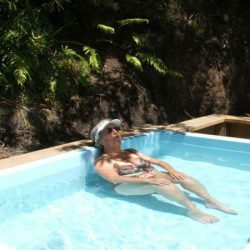 it was so relaxing after that walk to get in the hot pool. i will never ever forget this experience in my life. i highly recommand to everyone to visit this place. Well worth the long drive, took a bbq & relaxed by the river before an awesome soak! Will definitely do it again, probably camp overnight next time! This is one of our favourite places and we visit quite often, sometimes to stay and sometimes just as a day trip. 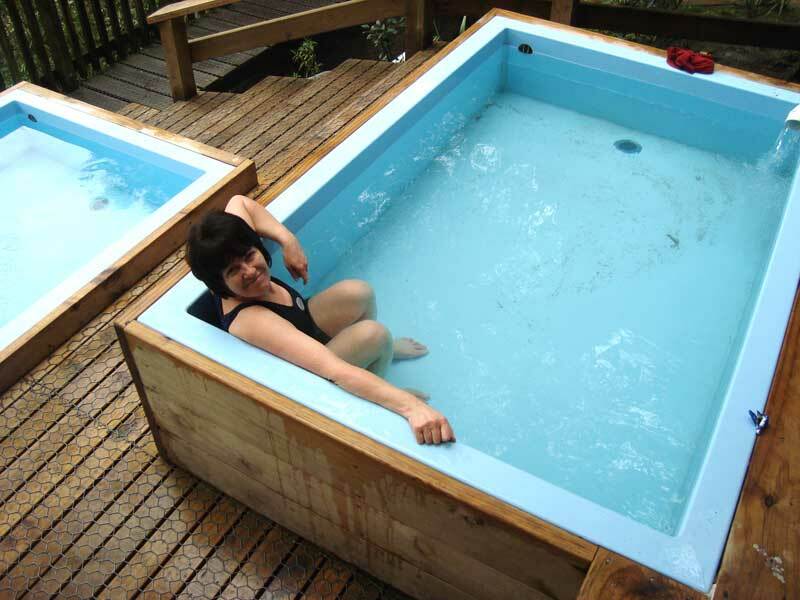 The second pool is a great addition. If it's a bit dirty (from overhanging trees, it's easy to empty out and give it a scrub with the brush provided and takes next to no time to refill. Beautiful in the evenings upder the stars! Boy racers, noisy people and drinkers and those who leave their rubbish - stay away, we don't want you there. One of NZ's majic spots! Hunting right at your tent door! Gr8 place to go! Pitty it's not harder to get to to keep the boy racers out in in there lowered cars!! Fantastic !!! 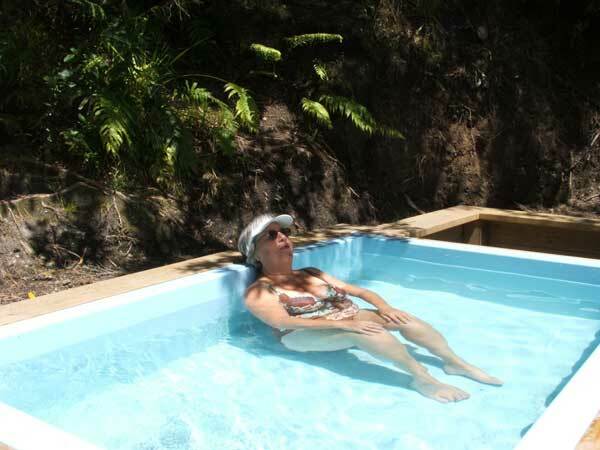 !, we enjoyed it so much, the next time we will come back to do the tramp to te Puia lodge. 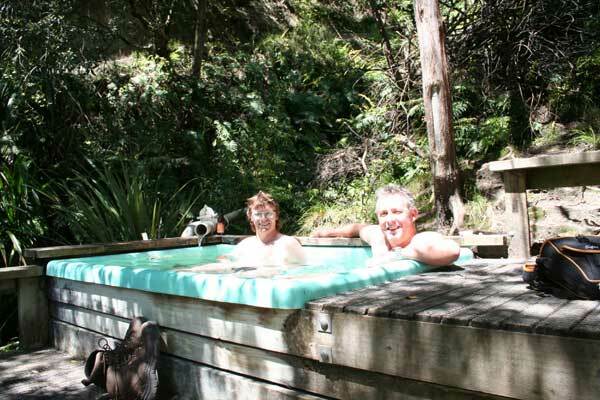 Great spot, we caught a huge rainbow trout just down from the hotpool (tub). it is cold there, so take warm clothes!!!!!! well worth a trip!! 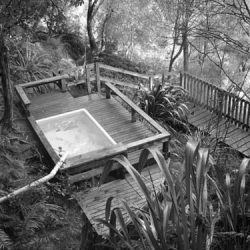 This is just such a wonderful spot...some excellent day walks up the Mohaka, and get fresh water swimming spots along the way. The camping area is great, but remember to take fresh water in...this camping ground has no access to fresh water!...otherwise great trip, and well worth the visit! Unless it's after heavy rain, you can get to this in a normal car if you've got the right attitude. 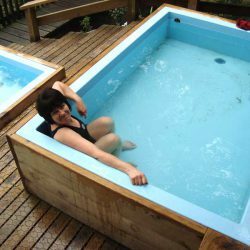 The pool is at Gums carpark, at the start of the tramp up to Te Puia Lodge (3 hours away) with the Mangatainoka Hot Pools 45 minutes further. 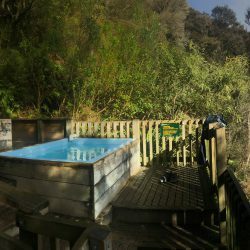 Great place to go for a couple of nights camping and enjoy a relaxing time in the hot tub at night, and if you get too hot, a short walk down to the river for a cool off. Would only recommend this to 4-wheel drive vehicles. Gets quite dangerous in places. It's a lovely spot to have a soak after a hard days fishing, soothing for weary legs, and oh so relaxing. Beware the drive home! 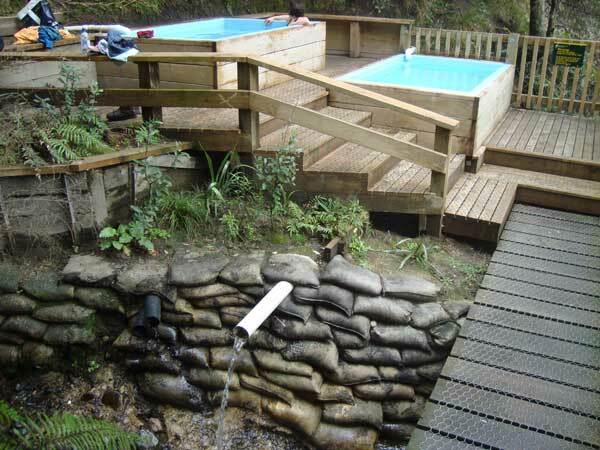 Its well worth the trip especially for visitors that would like to fish up the Mohaka. After a days fishing its fantastic to warm up in the pool. Its not all that big but the atmosphere of being there is hard to beat.